I think I read somewhere that wolves almost never attack people. Please, please be true. The wolf closed the distance between them cautiously, sniffing the air. Reed tried desperately not to make eye contact. He’d read something else about wolves and dogs seeing eye contact as a challenge. He had no idea if the article was accurate, but better safe than sorry, right? The wolf cocked its head, eyeing Reed as if it understood his words. To his utter shock, the wolf came right over to him. Not flinching away or running took pretty much all his courage, especially when the big creature’s sharp teeth hovered near his arm. Rather than biting, though, the wolf grasped his sleeve almost delicately and tugged the material. Confused, Reed didn’t move. The wolf tugged again, insistently, and then let go. Either I’ve gone insane or I’m really stupid. Or both! Then again, I don’t have a lot of options here. With a shrug and a sigh, Reed trailed after the wolf. Anytime he stumbled or fell too far behind, the wolf came back and waited for him. In the back of his mind he knew this situation was bizarre and unnatural. A wolf shouldn’t be interacting with a human like this, and its behavior seemed to show an abnormal degree of intelligence. He was just tired, cold, and scared enough not to care about logic, however, so he continued following his furry new friend. After what felt like an eternity but was probably only ten or fifteen minutes, he spotted the wolf standing before the entrance to what appeared to be a small cave. The wolf whined at him, shook some of the water off its coat, and disappeared into the dark opening. He hesitated. Do I really want to go into a cave with a wild animal? A loud clap of thunder and the rapidly darkening sky made his decision for him. Crouching down low, he followed the wolf into the cave. Lost in the forest after deciding to celebrate his recovery for a terrible traffic accident – Reed Emerson is confronted by a wolf. Caught between a rock and a hard place he goes with gut instinct and ends up in a cave with a wolf and wakes up with a man all warm and snuggle down with him. Reed has issues, for one his accident has left him scarred and after losing one partner because of them he was not going to put himself through that stress again no matter how much he likes the guy or how much that guy rocks his world. Ethan Amhurst, shifter and a very lonely guy has a totally different take on the matter, he only knows he likes and wants Reed but he has to tread wearily because Reed needs to find himself before he is ready for Ethan – but Ethan's fear is, letting Reed go might just be the biggest mistake of his life. I came across this book by accident on my online library and as a new to me author - I loved the the cover and the blurb and being a short story decided to give it a go. Ms. Gold has a voice I will be following – she is descriptive and has a good handle on the emotional and anticipatory aspect of writing. I loves the two guys she introduced me to – she gave enough of their background to ensure that not only the second characters are tied in and but also the path that Ethan takes is justified. 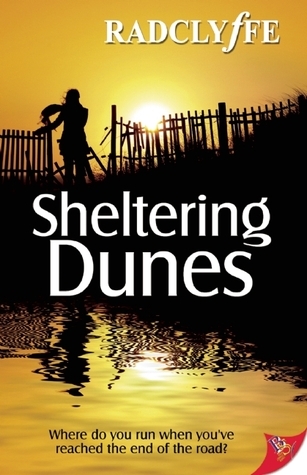 As a short read – it did what it was support to do – Introduced me to two good, strong characters, along with a age old plot – she highlight certain aspect of human nature and runs with it to give a decent play on emotions along with a steady pace to how the plot developed – I liked this book. I haven't read this one but I've read a couple of her other books which I did like. I know you don't have them, but I gave you an award at my place! I am glad I found her through this short story - her voice is really good.. I am starting to hunt more of her work..
You must try one of these shifter novels. They are great..